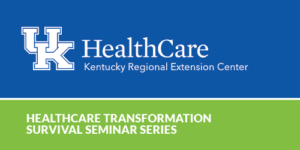 2018 Healthcare Transformation Survival Seminar Series – Back By Popular Demand! Join us as we take an in-depth look at the Medicare Access and CHIP Reauthorization Act (MACRA) legislation and the Quality Payment Program! This event will explore MACRA Year 2, Care Transitions Quality Measure, Cost Category of MIPS, Considerations for Moving to Advanced Payment Models, Practice Transformation and Quality Improvement, 2018 Meaningful Use Changes and Hard to Hit Measures, and 2017 Security Breaches. Please note: this is a completely different agenda than last year and updated information will be provided.